Two Senators have already been disqualified from the 45th Parliament and after the Bob Day disqualification, there has been uncertainty about section 44v of the Constitution. …. (v) has any direct or indirect pecuniary interest in any agreement with the Public Service of the Commonwealth…. The High Court may be able to more clearly define where the line is in regards to pecuniary interests. Assistant Health Minister David Gillespie was first elected as the Member for Lyne in NSW in 2013. He and his wife own a shopping centre at Lighthouse Beach, some seven kilometres south of Port Macquarie. One of the shops in the centre is leased to an Australia Post Licensee. His register of member interests indicates that he is a director of the company Goldenboot Pty Ltd, which owns the commercial investment property of 10 shops. In the section of his member interest form that asks about the nature of any other substantial sources of income, Dr Gillespie states that he receives income from the investments he has listed in the register. So, is being the director of an investment property that rents a shop to an Australia Post outlet, which receives income from a Government department the cause of a pecuniary interest for the Member? The first time the High Court sitting as the Court of Disputed Returns considered section 44v of the Constitution was in 1975. Senator Webster was one of eight shareholders in a company that had an agreement with two Commonwealth Departments to supply timber. He received a salary for his work with the company. The Senate referred the matter to the High Court in April 1975. Chief Justice Barwick, sitting alone, delivered his judgement on the 24 June 1975. He determined that the purpose of section 44v was based upon the House of Commons (Disqualification) Act 1792 and was to secure the freedom and independence of the Parliament from the Crown. He found that Senator Webster was not disqualified as the sale of goods on request from time to time was not an agreement under section 44v. This was considered a very narrow view of section 44v and has been subject to criticism for years. The Attorney-General of the Commonwealth and Ms McEwen, who the Court ordered could be heard on the reference, argue that the purpose of s 44(v) differs from that of the 1782 Act. It is to prevent persons in the position of a member of Parliament from taking advantage of his or her position in order to obtain a financial advantage and to prevent a conflict between that person's duty as a member and his or her own interests arising. The court stated that the wider purpose of this section of the Constitution is to prevent financial gain which may give rise to a conflict of duty and interest. The court referred back to the Constitutional debates in the 1890’s. In the course of the debates it became clear that the meaning of section 44v was to separate the personal interests of a parliamentarian from the exercise of their public duties. Could a Parliamentarian leasing a space in their shopping centre to a person running an Australia Post outlet give rise to a conflict of interest between their personal and public duties? 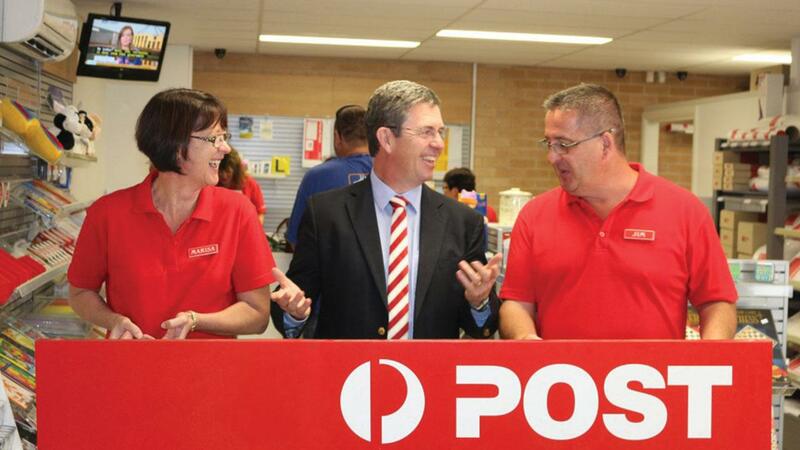 If a piece of legislation about Australia Post Licensees being paid a higher fee was to be considered in the Parliament would David Gillespie vote for his personal or public interest? If the Australia Post Licensee was to get a higher payment from the Commonwealth, then Dr Gillespie might be able to increase the rent on the shop. Would that give him an indirect pecuniary interest? These are all hypothetical questions and we don’t need to answer them. But if there is even the possibility of a conflict of interest, then that might be enough the raise a section 44v disqualification. There can be no doubt that if personal financial interests were to intrude, the exercise of those obligations would be rendered difficult or even ineffective. Is there a chance that David Gillespie would not question Australia Post because it could affect his personal interests? In the last few years there has been a lot of criticism of Australia Post. The price of stamps has increased a lot, letters take longer to be delivered and the former CEO was paid an astronomical salary. Did Dr Gillespie make any comments about this? Once again, we don’t have to answer these questions. The perception that a conflict of interest could occur might be enough. I have no leases or deals with Australia Post. When was the licensed Post Office in his shopping centre set up and was there an agreement between the owner of the shopping centre and Australia Post? Dr Gillespie has an agreement with an Australia Post Licensee and that LPO has an agreement with a Commonwealth department. Is that far enough removed to not be an indirect pecuniary interest? All the businesses in a shopping centre that has an Australia Post outlet may receive higher levels of sales. A Post Office draws people to a location and they might pick up items from other shops in the centre. Overall, might this make the shopping centre more profitable? Could the owner of the shopping centre ask for higher rent on the shops? Is this an indirect pecuniary interest? These are all issues that the High Court may consider. Senators and members of the House of Representatives should know where they stand. They, and their electors, are entitled to expect tolerably clear and workable standards by which to gauge the constitutional propriety of their affairs. Disqualifications affect not only the MP or Senator, but also the people they have been elected to represent. The people also need to be reassured about the limits of disqualifications under section 44 of the Constitution. ….his place shall thereupon become vacant. The seat of Lyne was created in 1949 and has been held by the Nationals (or the Country Party as they were previously named) for almost the whole period since that year. In 2008 Independent Rob Oakeshott was elected to the seat at a byelection. He remained the Member for Lyne until he resigned at the 2013 election. David Gillespie was elected in 2013 with just over 53% of the primary vote and then re-elected in 2016 with just over 49% of the primary vote. However, in 2010 when David Gillespie ran against Rob Oakeshott, he was only able to secure 34% of the primary vote, while Mr Oakeshott gained 47%. The big question people are asking is whether Rod Oakeshott will contest the seat should a disqualification occur. If that is the case and the electors of Lyne choose the Independent, we could end up with a hung parliament.